Your stilettoed toes and your high-heel shoes are tapping on the cobbled stones. He can hear you coming. That far away echo of feminine footsteps down the road. 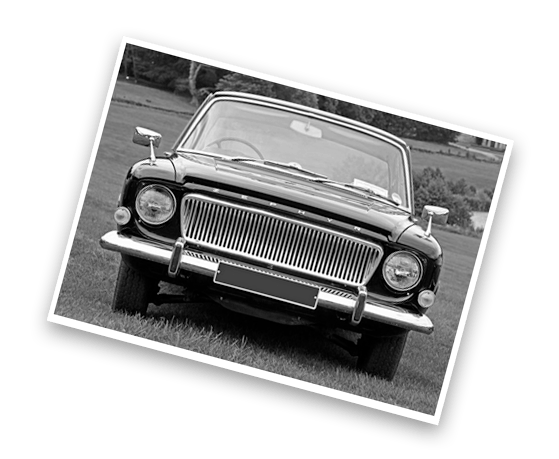 of the man in the black Ford Zephyr on the corner of the street. He crawls along the kerb, your heart beats faster, you’re walking faster. Take a peek in the car window, see his eyes shining. The wolf’s eyes pining for your glossy body, the warm skin. Little Red Riding Hood, you run. Your stilettos slip on the shiny cobbles, you drop your bag. The things of women fall out. The cracked perfume bottle, the Tampax and compact. He smells your scent, your memorable scent. he’s smelt it so many times. The odour of your clothes, your powdered nose. Little Red Riding Hood, the man in the black Ford Zephyr is above you. Little Red Riding Hood, lies there, the wolf pants, he drools. but her eyes are heavy with sleep. You weep, you weep, your tears fall quickly on the hand squeezing your throat. He reeks of filth, he smothers you in sweat. He parts your legs and splits your peace. You bleed all over the cobbled street. He pushes and pushes ‘til you scream and scream. The man in the black Ford Zephyr has satisfied his dream. Little Red Riding Hood ripped in two, bloody, split, battered and bruised. That sweet young body, used and abused. The man in the black Ford Zephyr is driving away. You crawl along, naked and wet, ripped to shreds. The man in the black Ford Zephyr is lying in his bed. He’s moving his hand to the rhythm of the thoughts in his head.